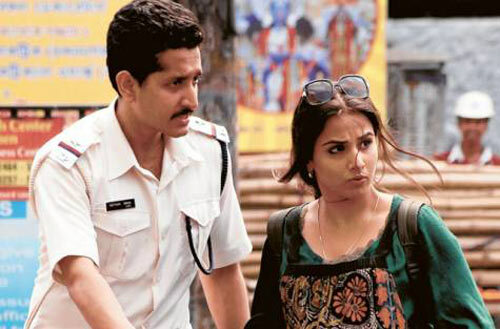 If you have seen Kahaani, you won't forget three things: Vidya Balan's mind-blowing performance; Kolkata at it best during the Durga Puja festival; and the actor who played the role of the caring Inspector Rana, who helps Vidya in the search for her husband. But just who is this actor who has made such an impact with his very first film? Parambrata Chatterjee is a well known actor in Bengali cinema. He began his acting career with television in 2002 and switched to Bengali films in 2003. "In 2009, I quit films and went to the UK to study filmmaking for a year. I had finished my course and was thinking of returning when I got a call from Sujoy Ghosh (Kahaani's director) about Kahaani. We spoke to each other on Skype for two hours. He narrated the script. I immediately came back and did a screen test and a two-day workshop and on the third day we were shooting," says Parambrata, making it all sound very simple. Parambrata and Sujoy Ghosh had met in 2006 in Mumbai when Parambrata was showing his film The Bong Connection at the MAMI festival. Sujoy liked his work in Bong Connection and hence the offer to play a lead role in Kahaani many years later. Parambrata has worked with Vidya Balan in her first film and his second film, Bhalo Theko. "Vidya has not changed at all. She is the same as she was eight years ago. She does not have any airs or attitude but, yes, she has become a refined actor now. When we started off our careers, we were both very raw," he says of his famous co-star. About his director, he says, "Sujoy Ghosh is a freak in a wonderful way. He is a visionary filmmaker; he knows his entire film even before he has started shooting it. You can ask him about any scene and he will know." 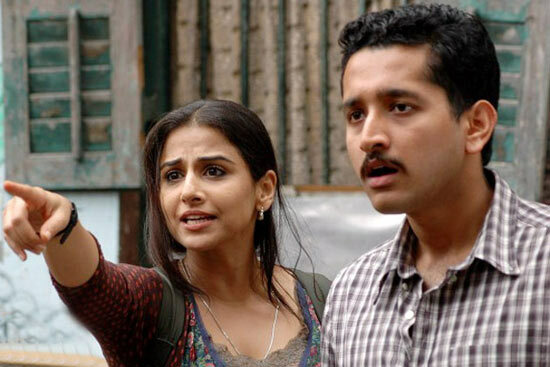 Kahaani is regarded as a woman-oriented film, so why choose such a film to make his come-back? "I don't look at movie projects like that. For me, the film has to be good, the story has to be good, and it is important that I get a relevant role to play. I don't need to be the main protagonist all the time," he replies sensibly. Besides, he says, his work has been appreciated. "I have been getting calls from all over India from people applauding my work." So is Bollywood the next step? "If there is a good script, I will surely work in it," he replies, and adds, "but I have still not been offered anything." He is firm on not leaving the Bengali film industry. "I am doing good here, plus, this is a good time for the Bengali film industry. But I can always come to Mumbai and stay there for a few months and shoot for the film, but not settle down there." In a way, cinema is in his blood. "Both parents are related to films; one is a film journalist and the other is a film critic." Also, from his mother's side he is related to legendary filmmaker and writer Ritwik Ghatak. When Parambrata was seven years old, he decided that he would become a film director, but acting happened to him by accident. Director Anjan Dutt spotted him in college and asked him to join his television serials. 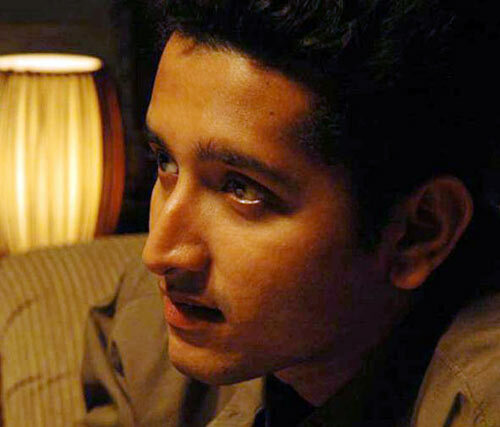 Parambrata continued with his studies and graduated from Jadavpur University in English Literature. Satyajit Ray's son Sandip Ray cast him in his Feluda series and he did three films, Kailashey Kelenkari, Bombaiyer Bombete, and Tintorettor Jishu with him. In 2006 he acted in Bong Connection, Chalo Let's Go in 2008 and Kaalbela in 2009. All the three films did well. He still wanted to direct a film and did so. Jeeyo Kaka is about three guys who want to make a film and kidnap a girl in order to get ransom money to fund the film. The film was released shortly after he came back from the UK having done the filmmaking course. It was well received by critics and audiences. After his return he acted in two films, Srijit Mukherji's Baishe Srabon and Birsa Dasgupta's Jani Dekha Hobe. The first earned good money but Jani Dekha Hobe did not fare well, though its music was well received. Currently he is shooting for Srijit Mukherji's Hemlock Society. He hasn't given up on direction either. "I am working on a script; by the end of the year we will go on the floors." Would he cast Vidya Balan in any of his films? "Not in a Bengali film -- what will Vidya do in my Bengali film? It is too small for her. But if, some day, I get an opportunity to shoot a Hindi film, I will surely ask her first." Is Vidya Balan India's answer to Meryl Streep?